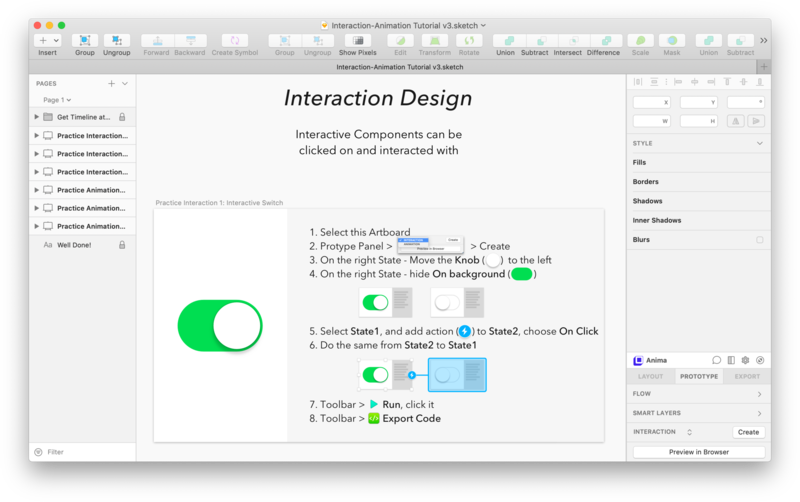 Interactions and Animations empower designers to create beautiful, interactive components right inside Sketch. 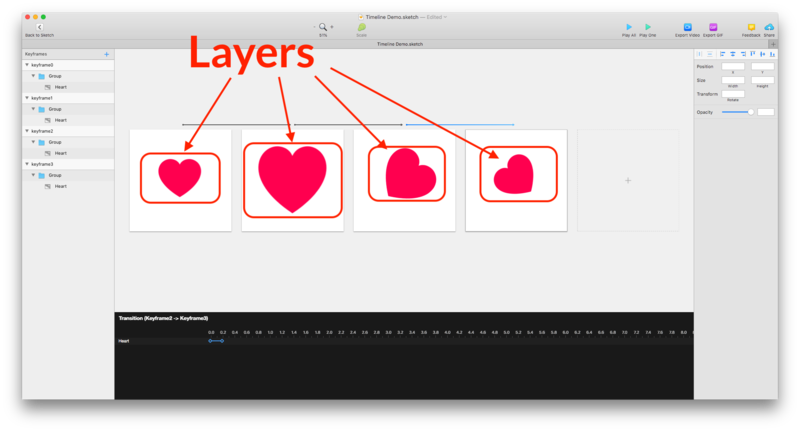 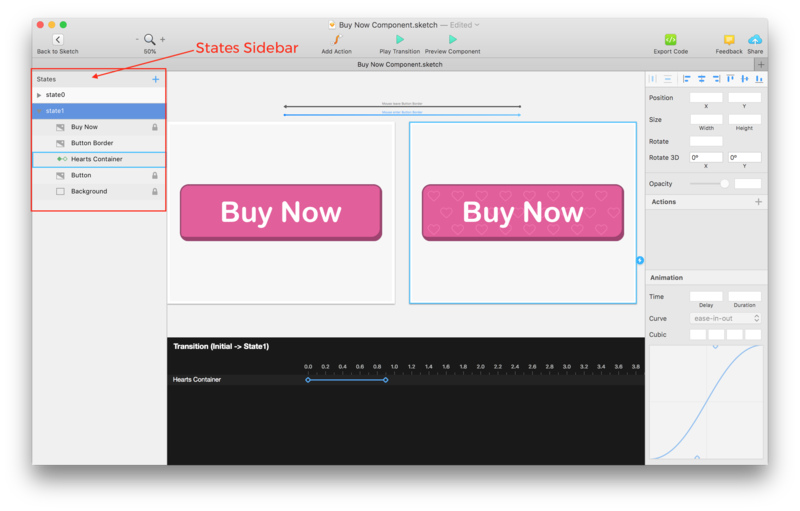 The State has the same layer hierarchy as imported from the Sketch document. For example, let’s say there are 2 states: initial and state1. 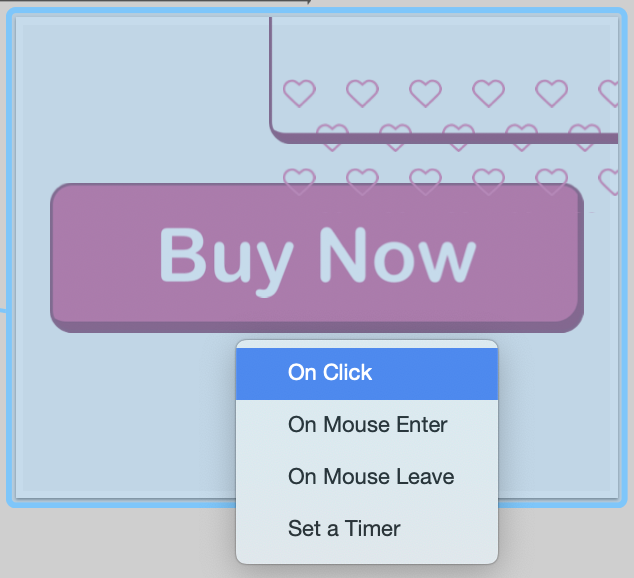 If we add an Action to the Button Layer in the initial state with the event ‘On Mouse Enter‘ and connect it to state1, then when the user hovers the mouse on the button, the component will perform a Transition to state1.